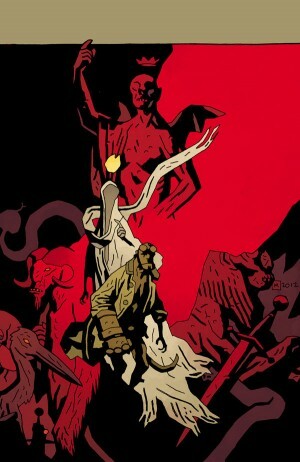 A new stage for Hellboy’s continuing adventures and a new series of volumes begins with The Descent, collecting the first five chapters of Hellboy in Hell. 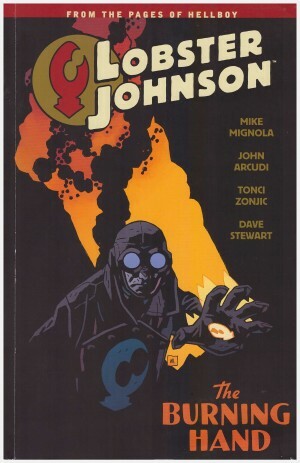 This volume is once again the work of Mike Mignola alone, with colours by Dave Stewart. 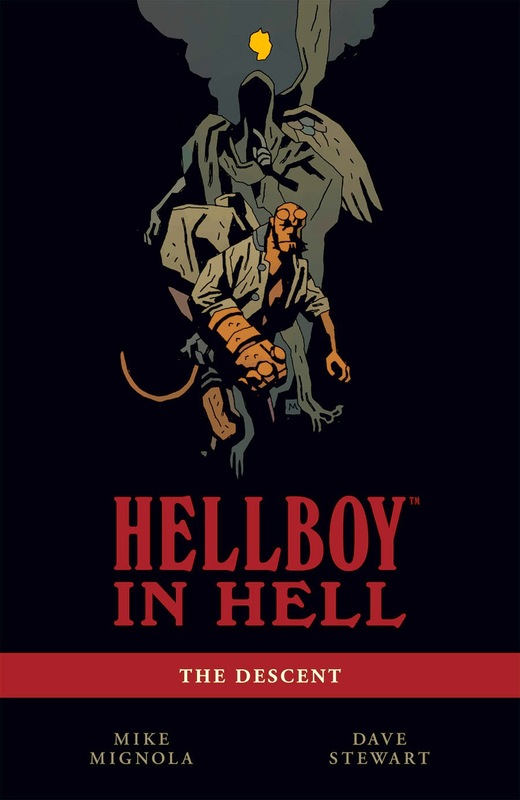 The massive canvas of the previous adventure, concluded in The Storm and the Fury, drawn in quite maximal style by Duncan Fegredo gives way here to a more reduced graphic language as Mignola strips everything back to his sparer, more minimal palette, appropriate for the circumstances in which Hellboy now finds himself. Hell as conceived by Mignola is an atemporal, massively chaotic dimension of ruin and shadows with nobody in charge; Hellboy is in the Abyss, hell’s outer edge, where a puppet show performing A Christmas Carol by Charles Dickens makes it clear that he will have to voyage through his past, present, and future. Eventually he arrives in Pandemonium, the heart of hell, the Citadel of the Fly, where the throne and crown wait for him. 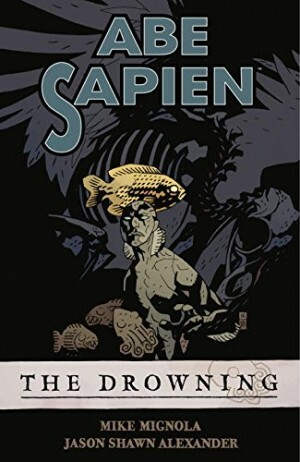 This is as much a collection of ‘mood’ pieces as an action book, the horror aspects diffused through Mignola’s style so that it’s more like supernatural adventure, perhaps. There are flashbacks within flashbacks and jumps around time and location. 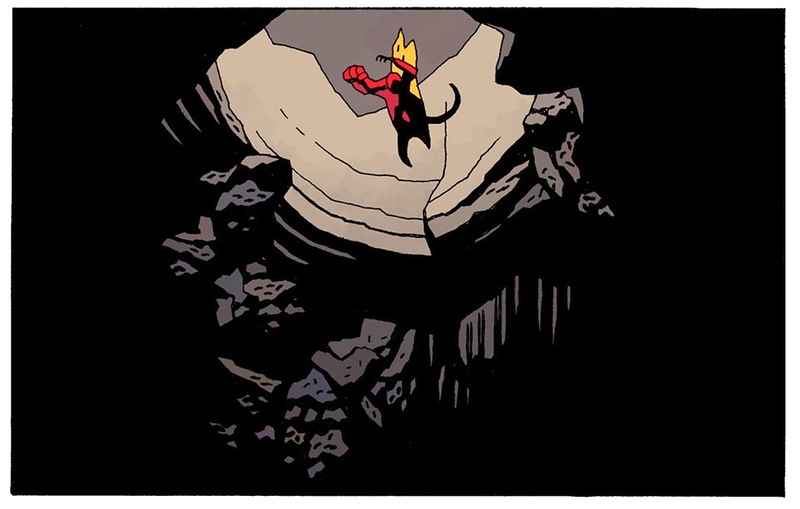 Many questions regarding Hellboy’s past are answered, but some of them in ways that just make things more complicated. It doesn’t seem as if there will be any lack of mysteries to solve in this new setting. 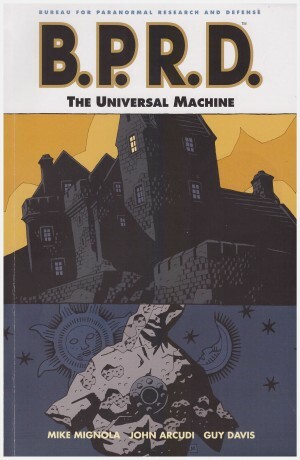 It’s intriguing enough to have you wondering just how far the environs of hell stretch and what will be revealed next. 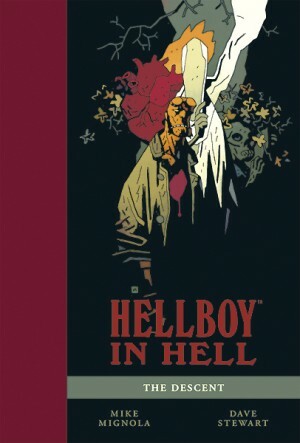 The stories collected in this volume are also available in the Mike Mignola Hellboy Artist’s Edition, a very large hardcover book that presents the original black and white art pages, scanned at actual size. 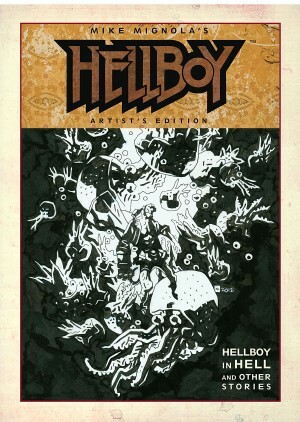 It also includes art for earlier Hellboy stories including The Corpse.